Nearly every team in the NHL has adopted the tradition of saluting the crowd following a victory on home ice. 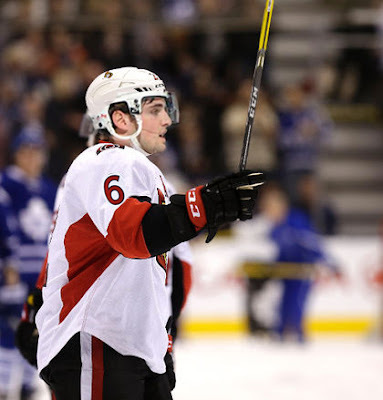 However, for Senators this season, they will be saluting after every game; Win or lose, home or away, it doesn't matter to them. After Ottawa's 6-3 exhibition victory over Toronto on Monday night, the Senators kept with their promise to salute the crowd. Even though the game took place in a neutral town like Halifax, the "home team" Leafs were extremely offended by the Senators' gesture, and spoke their minds after the game. "It's a disgrace" Leafs forward Brooks Laich reiterated a few times. "I went bananas when I saw them do it." Via Skype, Milan Michalek, a former Senator, blamed it on the lack of leadership following his departure from Ottawa last season. "I would have never allowed this type of monkey business if I were still on the team." Rookie Mitch Marner was very surprised and angered by the Senators' actions, in what was his first confrontation with the Sens. "They just brought guerrilla warfare to the Battle of Ontario. We'll see if they're still saluting come April." In the Senators' dressing room, all eyes and fingers were pointed to Marc Methot. Although Methot didn't play, he was still the brains behind this ordeal. Methot started by apologizing to the offended Maple Leafs, but noted that they'll understand once they hear his side of the story. "Believe me, they'll understand. They will. I bet they'll start doing it themselves once they realize that this season, the salute is more than just a thank you to the fans. It's also a salute to an old friend, a friend who meant a lot to all of us." 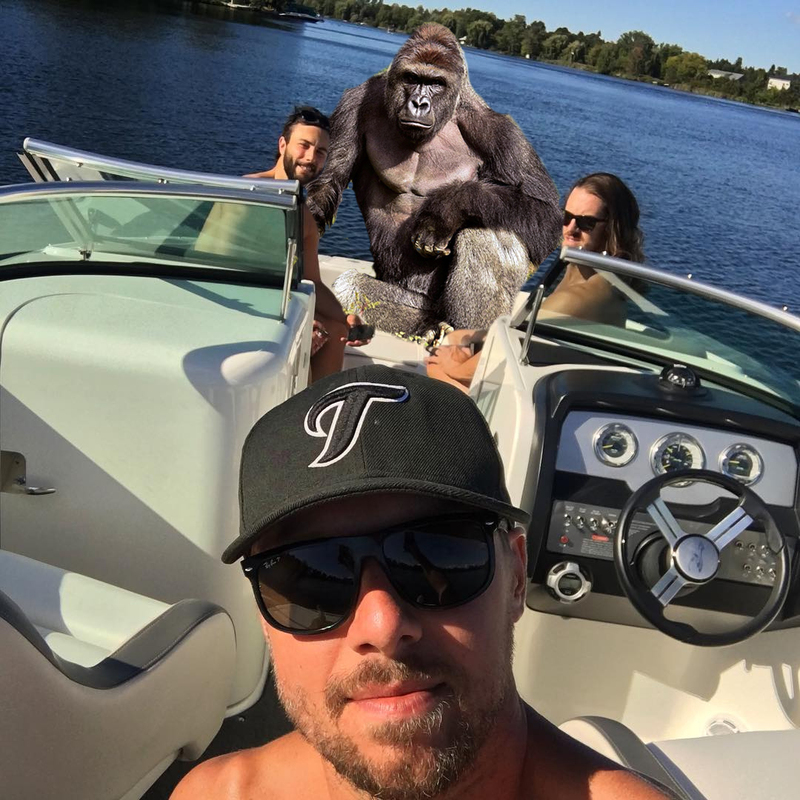 Prior to the salute in Halifax, Methot had been vocal on social media when it came to the infamous Cincinnati Zoo gorilla, Harambe. If you have no idea who I'm talking about, then you should be ashamed of yourself. Marc's words, not mine. As mentioned, Methot has taken to social media to acknowledge his dear friend. From his own tweets, to liking some 14-A tweets, to even changing his profile picture. Marc has gone all in. This part is not a joke. In his post game interview, Methot also added that he doesn't believe the meaning behind the salute is a slight to the fans. "I don't think it's a takeaway from the fans at all. We're playing for them, and we're playing for him. Some people say you wouldn't notice the difference in the salute, but those people are wrong." Methot finished the interview with an inspiring statement. "He was more than just a gorilla in a poorly built exhibit. He was also my friend. So if you play hockey, win or lose, make sure to salute after the game, because he would have done the same for you. Sticks out for Harambe." A stall left vacant out of respect.